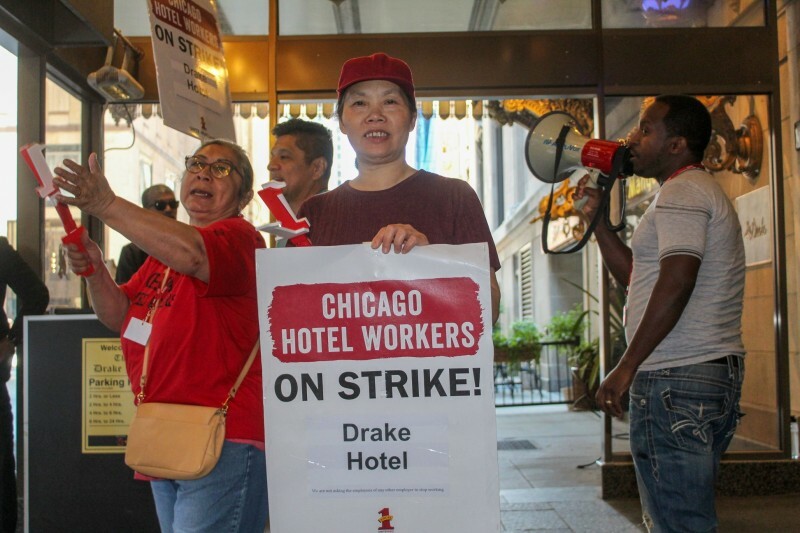 Day 6 of growing Chicago hotel strike | Fight Back! 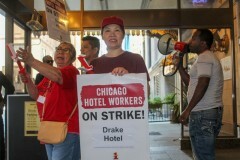 Chicago, IL - Workers at 26 hotels are now on strike as members of UNITE HERE Local 1 walk the picket lines. Wages, workloads and health insurances are among the issues at play. Thousands of housekeepers, servers, cooks and doormen walked off the job on Friday, Sept. 7.